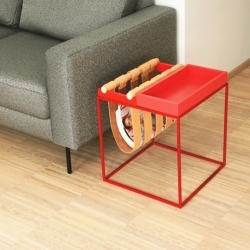 'Colors' side tables bu the designer Aap Piho for Warm North Furniture. 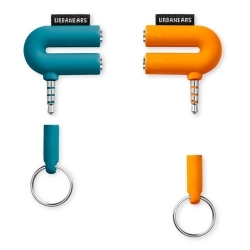 Slussen from Urbanears, an accessory that plugs into an audio source and your headphones letting you be the DJ with the upcoming Slussen iOS app. 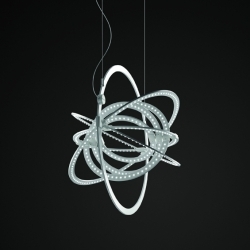 'Copernico 500' suspension by the designers Carlotta de Bevilacqua and Paolo Dell'Elce for Artemide. 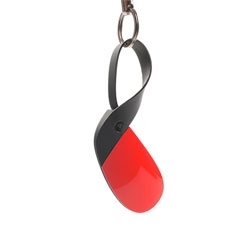 Plair, a dongle for wirelessly streaming videos from your phone to your TV. 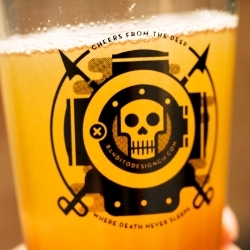 'Cheers from the Deep' mug by Bandito for the Creativity Fluid Project. 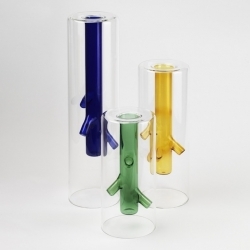 'Roots' vases by the Italian designer Giorgio Bonaguro. 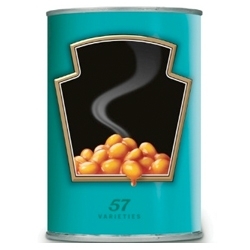 VIDEOIf a movie changes its scenario depending on audience's feelings, will you know the end of the movie? 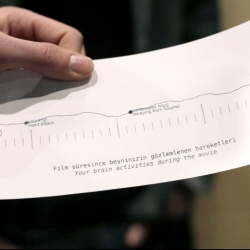 HyperPresence reads audiences' brain activities and give possible 4 scenario from 1 movie. It's a brand new movie experience! 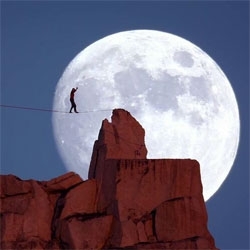 VIDEOStunning tightrope walking before a full moon. Dean Potter walks a highline at Cathedral Peak as the sun sets and the moon rises as part of a larger National Geographic series. 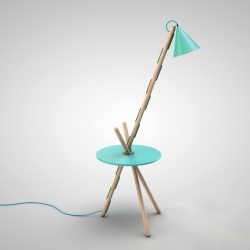 PLOCKEPINN Table Lamp from designer Mårten Andersson. 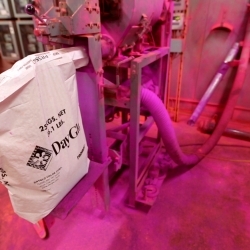 VIDEOTake a look inside the busy factory of DayGlo Color Corp., where you'll find huge, grinding, belching and all around intimidating industrial machines coated head to toe in fluorescent pink and blaze orange hues. 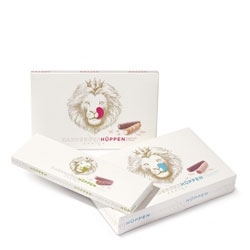 Cute packaging for Hardegger's original Zurich Hüppen by Nadine Geissbühler. 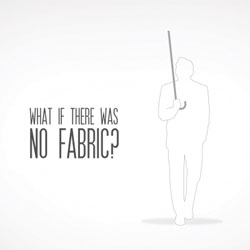 Quentin Debaene's AIRBLOW 2050 is a prospective umbrella which uses air rather than fabric to protect user from the rain. Inspired by the ancient myths of the angel Metatron and Pandora’s Box, Melbourne's coolest tower has risen in their Central Business District with a starry new design. 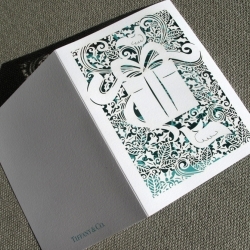 Tiffany & co. Holiday card 2012. 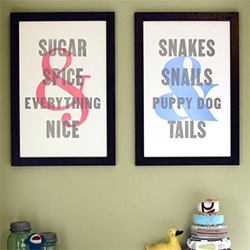 The original artwork was hand cut in paper by Sara Burgess and then laser cut for production. 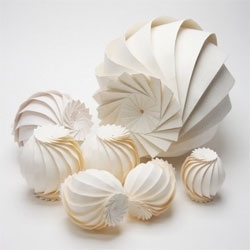 Hi-Tech 3D origami from computer scientist and engineer Jun Mitani. 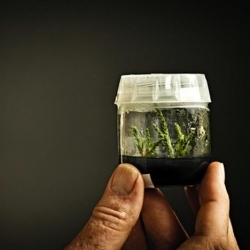 Clones of the world's oldest and largest trees, giant sequoias and coastal redwoods, planted last month along the coast of Oregon to create the world's first man-made old growth forest by the Archangel Ancient Tree Archive. 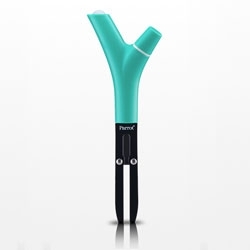 Flower Power from Parrot, a wireless sensor for your plants that measures sunlight, humidity, temperature and fertilizer levels. VIDEOSlow motion flame throwing. 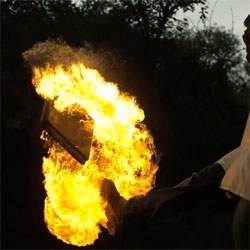 Flaming slow motion liquids at 2500fps. 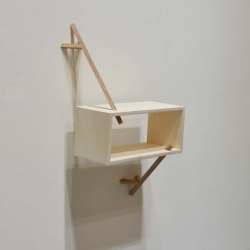 Shelf in three parts, fixed to the wall thanks to two 'branches' through a rectangle. 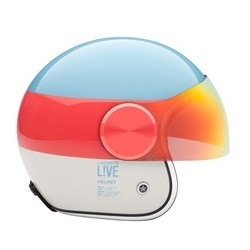 Design by Paul Menand. 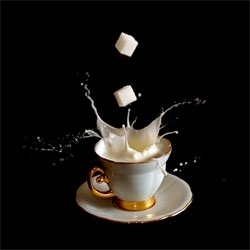 Photographer Egor N's beautiful 'Cofee Time' series. 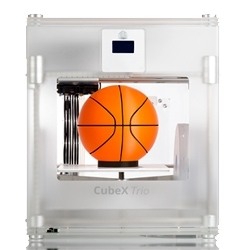 3D Systems newest printer, the CubeX, is the biggest and best of their Cubify lineup. The print area is one of the largest for entry level desktop 3d printers, has a Z resolution of 125 microns, and comes with up to 3 print heads! 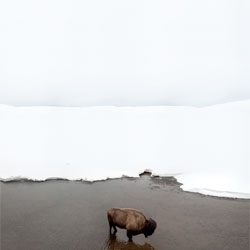 Photographer Michael Zimmerer's White Horizon series captures beautiful snowscapes across the American West. 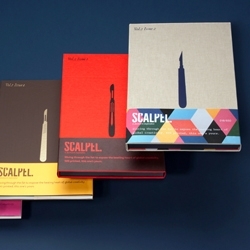 Scalpel is a series of books that feature works across various fields showcasing inspiring and creative work. 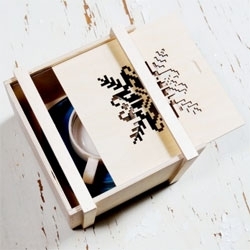 Beautiful box from YouArtMe, designed by Ewa Dagny and is inspired by artworks of a Norwich artist Randi Antonsen. 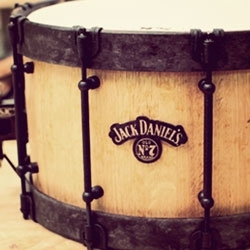 This film takes a look at the painstaking process of deconstructing a Jack Daniel's Tennessee Whiskey barrel, and crafting it into a beautifully designed and functional snare drum. 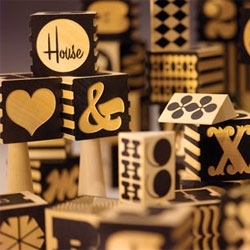 Alphabet Factory Blocks from House Industries, designed by Andy Cruz. 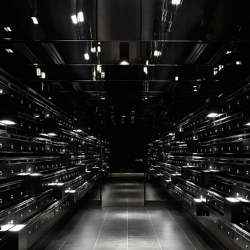 The team at Japanese label fragment design has collaborated with Starbucks‘ concept store–Omotesando B-Side–for a specially crafted beverage bottle. 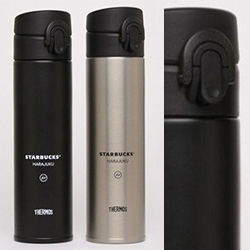 Quite the thermos - look at that clasp! 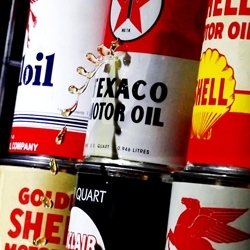 Selfridges in London is introducing a range of debranded products as part of its No Noise retail initiative. 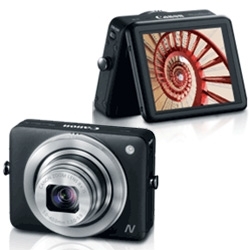 The new Canon Powershot N, a 12 Megapixel compact with tilt-able 2.8'' inch touchpanel display, 28mm wide angle lens, 1080p video recording, smartphone sharing, and built-in WiFi. 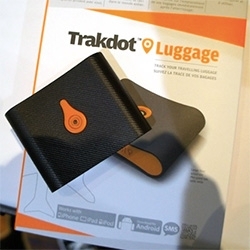 Trakdot Luggage tracker you stick in your suitcase to track it in real time on your phone or on their website, even get notified when it starts moving on the carousel. 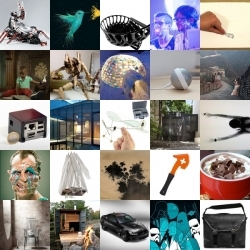 FEATUREDThis week’s roundup from NOTCOT.org includes tiny remote controlled flyers, firefighters’ battle axes, and Mandelbrot’s lost fractals. 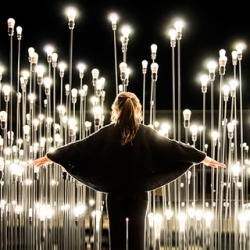 1,200 bulbs light up Lisbon at the 'LEDscape' installation, a bright collaboration between LIKEarchitects and IKEA. 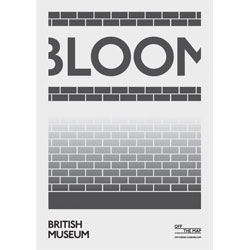 Off the Map, a celebration of London's out-of-use tube stations by Thomas Wood. 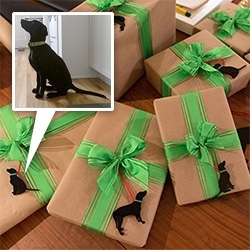 FEATUREDNOTCOT + NOTpuppy, Bucky, have a new article over at MyLifeScoop sharing how to turn cell phone puppy pics into laser cut gift hangers, as well as a peek of the pup skyping and more! 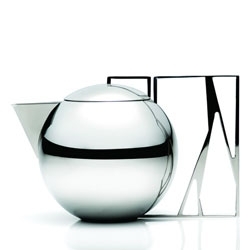 The sculptural Trama teapot designed by Jaqueline Terpins for Riva. 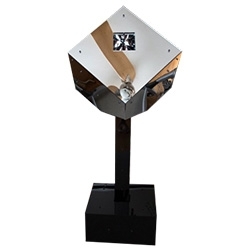 VIDEOSupermajor by artist Matt Kenyon is a mind bending installation that uses sound, vibrations, and flickering lights, to trick your eyes and brain. 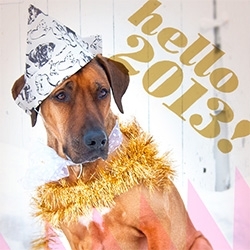 Oscar is in a Bucky (yup, our NOTpuppy!) Wrapping Paper HAT over on Oscar Ate My Muffin! You can also see beautifully illustrated instructions on how to make your own by Natalya Zahn. 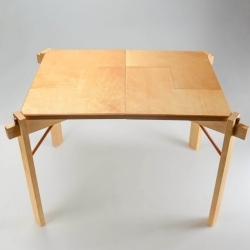 'Table' by Jie Gao, Cory Lambert, Robert Audroue and Zung Nyuen Vu, students at Rhode Island School of Design. 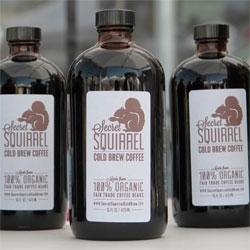 Secret Squirrel Cold Brew Coffee, a coffee concentrate cold brewed for 18-24 hours using filtered water and ground beans, it can be mixed with water or milk. FEATUREDCheck out the behind-the-scenes of our latest NOTlabs piece, the mirrored, Instagram Infinity Cube that just got installed in Virgin Atlantic’s new EWR Clubhouse! 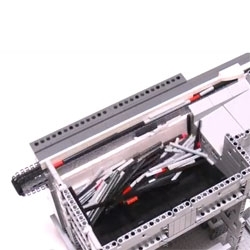 VIDEOThe LEGO Axle Sorter AS-L40A, a machine to sort LEGO that's made from LEGO itself! Constance Guisset's eye and neck pillows - Col de Voyage and Lunettes de Sommeil, objects inspired by the idea of Voyage and imagined for Louis Vuitton’s Objects Nomades collection. 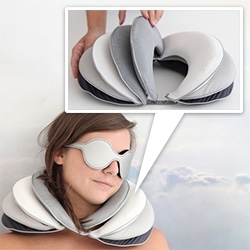 Lovely neck pillow design - you can even move the flaps to stack one side. 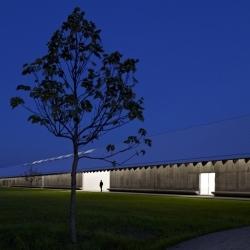 New building of the Parrish Art Museum at Water Mill, Long Island, NY, with inspiration from artist workshops and surrounding farms, the project is by Herzog & de Meuron. 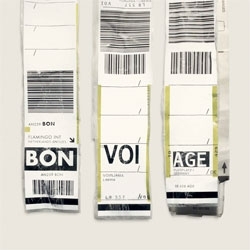 Fun new campaign for Expedia from Ogilvy using airport luggage tags.